Dr. Rod Passman, MD, MSCE. Dr. Rod Passman is a cardiologist at Northwestern Memorial specializing in cardiac electrophysiology. As a member of the Northwestern Medical Faculty Foundation, his clinical experience includes diagnostic electrophysiology, ablation, and device implantation and management. As an Associate Professor at the Feinberg School of Medicine his research focuses on atrial fibrillation, emerging indications for defibrillators, and device programming. He currently holds grants from the National Institutes of Health as well as from private industry. Raghuveer Dendi, MD is a Electrophysiologist and Clinical Assistant Professor in the department of Internal Medicine in the University of Kansas Hospital and University of Kansas Medical Center, Kansas City. His practice is focused on Cardiac Electrophysiology, Implantable Cardiac Defibrillators, Radiofrequency Ablation including AF and VT, Sudden Cardiac Death Screening, and Pacemaker/lead Extraction. His specialties include Complex Arrhythmia Management, Cardiac Electrophysiology and Cardiology. 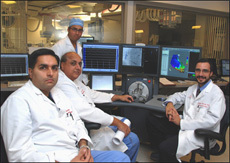 He has published numerous articles in cardiology and electrophysiology. Dr. Jonathan S. Steinberg, MD. Dr. Jonathan Steinberg is Professor of Medicine at Columbia University College of Physicians and Surgeons. He holds the position of Chief, Division of Cardiology and Al-Sabah Endowed Director of the Arrhythmia Institute at St. Luke’s and Roosevelt Hospitals. He has published more than 130 peer reviewed articles. He is a regular reviewer for multiple cardiology and electrophysiology journals, sits on several editorial boards, and is an NIH grant reviewer. He has participated in numerous clinical trials and has held executive positions and/or chaired several multicenter studies. He has a very active clinical practice and devotes most of his electrophysiology lab time to performing catheter ablation on complex arrhythmias. Dr. George (Trip) L. Zorn, MD. Dr. George (Trip) L. Zorn specializes in cardiovascular and thoracic surgery. He practices Thoracic and Cardiovascular Surgery in the University of Kansas Hospital. He has special interests in endovascular and minimally invasive therapy for thoracic aneurysms and valvular disease, as well as surgical options for heart failure. Dr. David J. Wilber, MD. 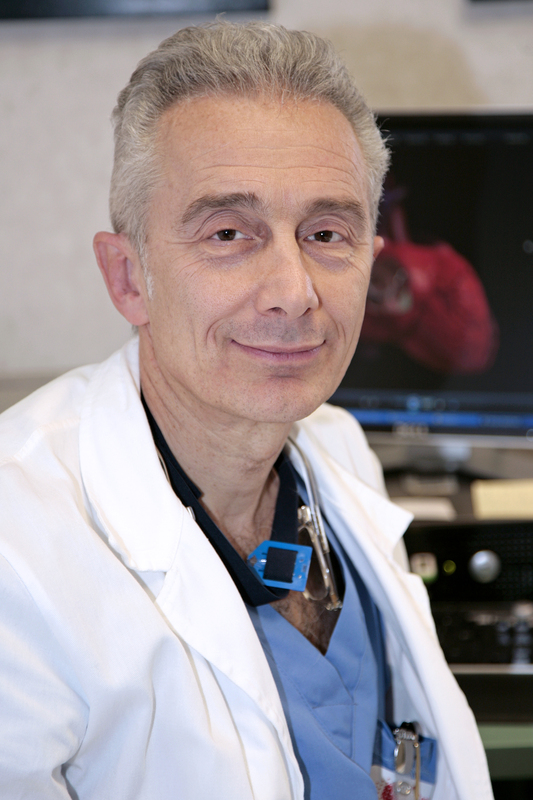 Dr. David J. Wilber is an internationally renowned cardiologist who specializes in Cardiac Electrophysiology. He is the George M Eisenberg Chair of Cardiovascular Sciences, and the Director of Cardiology and the Cardiovascular Institute at Loyola University Medical Center. His interests include mechanisms and treatment of atrial fibrillation and ventricular tachycardia. He is the author of more than 300 scientific publications, and an investigator in a large number of clinical trials relating to the treatment of cardiac arrhythmias. Dr. Choudhuri is a member of the Clinical Cardiac Electrophysiology staff with the Aurora Medical Group, based at St. Luke's Medical Center in Milwaukee, WI. He holds the appointment of clinical assistant Professor of Medicine at the University of Wisconsin School of Medicine and Public Health-Milwaukee, and is actively involved in teaching cardiology and electrophysiology fellows, and also directs electrophysiology fellows' research. His own research interests are in ion channels and genomics with respect to clinical disease, as well as in new device therapies, image integration and registration, and atrial fibrillation ablation.